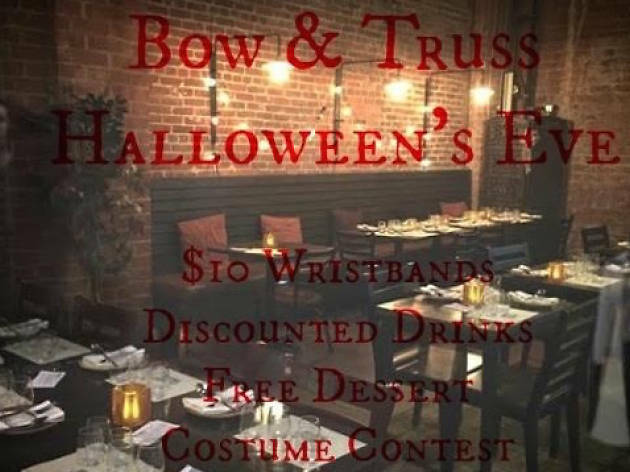 Smooth out the kinks of your Halloween costume a night early at Bow & Truss. 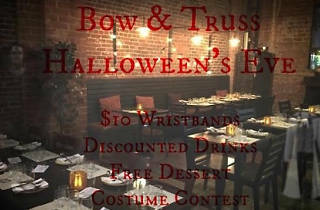 Wristbands to this All Hallows’ Eve celebration will score you happy hour prices all night, but it doesn't end there. This pre-spook evening will include games and a costume contest as well as a Halloween-themed treat to top off the night!